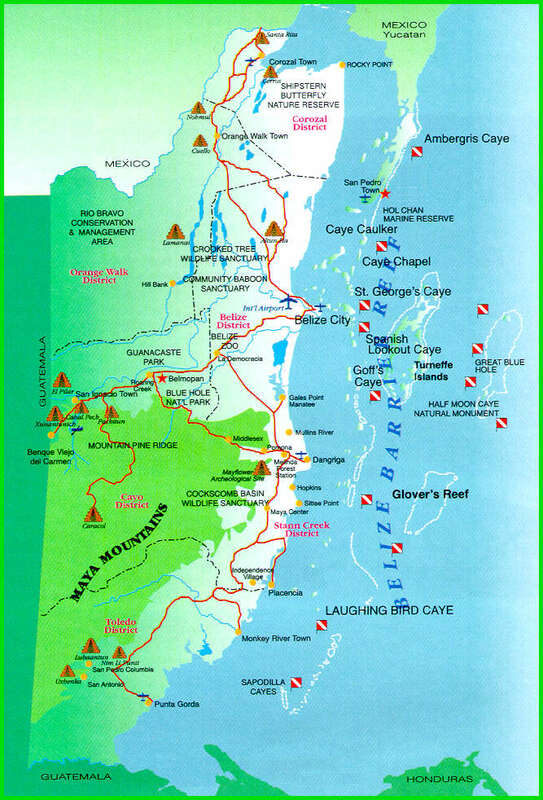 Welcome to Ambergris Caye, the Best of Belize! along a Ribbon Reef and around 3 Rare Rhomboid Reefs. I am the rental agent for a beautiful 12 unit condo complex that is located on Ambergris Caye. It is situated on a 200 foot stretch of private beach, 2.34 miles south of the town of San Pedro - far enough away to be peaceful and tranquil, yet close enough to enjoy its many amenities. The complex houses one, two and three bedroom units sleeping anywhere from two to eight guests. The units are large (our three bedroom units are 1800 sq. ft.) and all include a fully equipped kitchen, air conditioning, ceiling fans, DVD player, cable TV and high speed wireless internet access. Each unit also boasts either a walk out porch or deck that boasts breathtaking views of the sea and reef. Swim in our private pool and enjoy happy hour or grill under the gazebo, or walk the beach and end up at the end of our private pier. We’ve got bikes to get you in and out of San Pedro and to explore the island, and kayaks in which to explore the waters. Hammocks and lounge chairs hand-carved from the local water resistant hardwood abound the property. What I also find particularly appealing is the multi ethnicity of the country. One can stroll from one end of a street in San Pedro and hear not only English, the official language, but Spanish, Belizean creole and several dialects of Mayan. Want to pick up another language? Here’s your opportunity! People are open, friendly and kind. September and October - If you stay at least 7 nights you get one night free! Each additional person over two is $30/night. There is also a 9% obligatory Belizean lodging tax. If you are interested in booking one of these units, please contact me with your dates and number in your party at gidgetbelize@gmail.com. I will answer any questions you have and send you photos of a unit that is available for the dates you want. I can then send you a booking form. Once you book, I will send you all kinds of useful and fun information, and have our concierge contact you to arrange island flights and golf cart rentals. Click for Cartagena condo options.